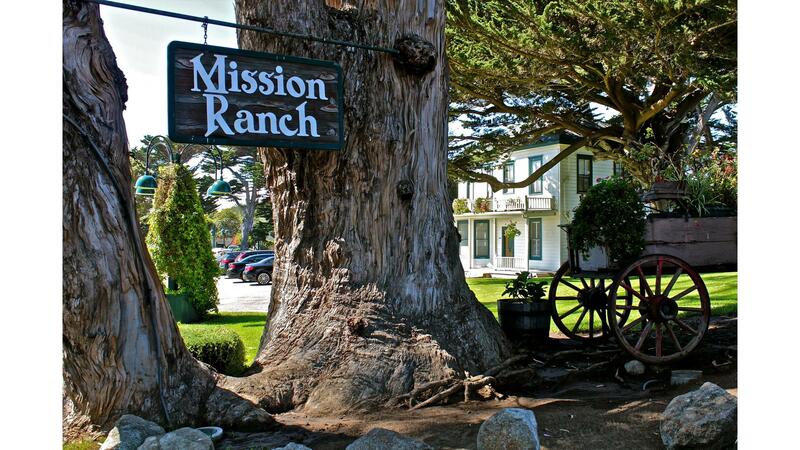 Rent Mission Ranch | Corporate Events | Wedding Locations, Event Spaces and Party Venues. The Restaurant at Mission Ranch is one of the most spectacular spots to dine on the Monterey Peninsula. The view is gorgeous: sheep grazing in our meadow, Santa Lucia Mountains in the near distance and Point Lobos with the Pacific Ocean's crashing waves. The Restaurant at Mission Ranch offers a varied and pleasing menu, moderately priced, featuring Classic American Cuisine. Dinner can be enjoyed inside or out on our heated patio. Live piano music is an institution at The Restaurant at Mission Ranch and you are welcome to join our spirited crowd at the piano bar any night of the week. On Sundays, we offer a buffet brunch with live jazz. It is often described by our guests as amazing and has been voted the Best Brunch by local newspaper polls.